Should You Buy Target (TGT) Stock? With the holiday season now in the rear view mirror U.S. consumers are being reminded of the world we live in. In the middle of the holiday shopping season Target made an announcement that had an impact on millions of individuals. On December 19th Target announced that 40 million credit and debit cards had been jeopardized by a cyber attack. Since then the number of cards has grown to 70 million, it has been reported that the number could grow to as many as 110 million! Just last week Neiman Marcus released news that it is dealing with a similar situation and other retailers are likely to be in the same boat in the coming weeks. On Friday (January 10th) Target announced that the security issue had a negative impact on their holiday shopping results. Stores saw sales decline up to 5% (depending on location) when compared to the previous years results. When 4th quarter earnings are announced on February 26, 2014, the additional expenses the company has incurred due to the hacking incident will certainly have an impact. CEO Greg Steinhafel announced that 4th quarter EPS (earnings per share) were lowered to $1.20 – $1.30 from the previous guidance of $1.50 – $1.60. For years Target (TGT) has been viewed as a quality retail stock with an attractive dividend, currently at 2.75%. The stock is often a core holding in portfolios created to generate income with high quality individual positions. 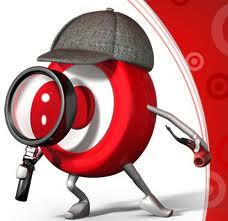 Target was founded in 1902 and currently has nearly 2,000 stores in the U.S. and Canada. It sells general merchandise: household essentials, clothing, groceries, electronics and jewelry just to name a few. For over 46 years Target has paid and grown the dividend it pays its investors. Targets consumers have been loyal to the brand but clearly demonstrated after the security issue that they will shop elsewhere. Target actually warned investors in November that they expected a challenging holiday season. The security breach is certainly not the only issue that Target is currently facing. Earnings have decreased in two of the last three quarters – driven primarily by losses in Canada where they have been attempting to expand. 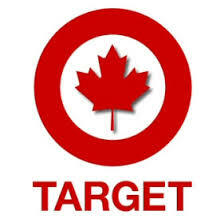 Canadian shoppers have welcomed Target with a chilly reception so far. Price conscious U.S. consumers have shown that they will spend their money at two of Target’s primary competitors: Wal-Mart (WMT) and e-commerce goliath Amazon (AMZN). Consumers will decide when they come back to Target based how they handle this public relations nightmare. It is unclear how much the security breach will cost Target when it is all said and done. The most recent breach that impacted a U.S. based retailer was in 2007 when TJX Companies (TJX) had 90 million credit cards compromised over an 18-month period. Consumers are familiar with TJ Maxx and Marshall’s which are both owned and operated by TJX Companies. It was reported that TJX spent approximately $250 million to investigate, settle legal claims and repair its computer systems. Based on the revenue that TJX reported in 2007 this would equal 2% of the company’s revenue. The overall impact that the event had on the company was minimal and they recovered much faster than originally expected. The day before TJX made their security breach public the stock was trading at $14.92. Over the next three months it slowly declined until it hit its bottom in March at $13.00. It closed out 2007 at $14.36 per share. Last Friday (1/11/14) TJX closed at $63.73. It is important to keep in mind that there is no guarantee that any stock will perform like this after any type of security or public relations issue. While the media and the general public are focused on the security breach we are more concerned with the issues that the company has faced with their expansion in Canada. Since the information regarding the security breach was released the stock is down only 2%. If you look at TGT since the highs of last summer the stock is down nearly 15%! Their expansion into Canada started in March of last year and there are currently 124 Target Canada stores. So where does that leave us and what do we really think of TGT? Analysts on Wall Street are cutting revenue and sales estimates for this fiscal year and next year as well. While the news is certainly negative it doesn’t appear that anyone is running for the exit and quickly selling shares of TGT. Several analysts have recently upgraded the stock. Out of 24 analysts that currently follow the stock only one has a sell rating, 14 have it as a hold, 7 a buy and 2 with a strong buy. Last week MKM analyst Patrick McKeever stated he expects Target to reach $73 in the next 12 months. We look at Target right now as an attractive opportunity for investors. The stock could certainly have more downside movement but we feel that it is currently presenting investors with an attractive entry point. We don’t expect this to be a short-term recovery and investors need to be prepared to hold on through some possible volatility. In the next few months the stock could face some selling pressure but if investors can look at the long-term prospects for the company they should be rewarded. The company has strong leadership and is getting positive reviews on how it is handling the security breach. With declining profits they are also looking to close over 100 stores this year that have been underperforming. Management has been committed to growing the company and since 2005 they have posted double digit dividend growth. Investors that can handle possible volatility while holding the stock should be rewarded with an attractive dividend and growth in the price of the stock over the next several years. The bottom line, in our opinion, is that this security breach could be a blessing in disguise. Expect more sour news on Target’s PR issues along with the struggles of their Canadian expansion, but this could be a very decent company to buy and average into on future market dips. As with any investment it is vital that investors know how the stock will fit into their overall portfolio. Anyone can open a brokerage account and buy and sell stocks but having a game plan is vital for any investor to have long-term success. If you have any questions or would like for us to provide a complimentary portfolio review of your investments we would encourage you to contact us at 888-474-8433. This entry was posted in Earnings, Economics, Economy, Equities, Investing, Investment strategies, Investor education, Stocks, Target, TGT, trends, Uncategorized and tagged Asset allocation, Business, equities, Investing, Investment, Investor, Market capitalization, Market timing, Mr. Market, Security Breach, Stock Market, stocks, Target, Target Canada, TGT by Matt@DearMrMarket.com. Bookmark the permalink.